Asphalt is all around us, primarily in roads and parking lots. The production of asphalt is done in facilities that are often referred to as asphalt batch plants or simply asphalt plants. 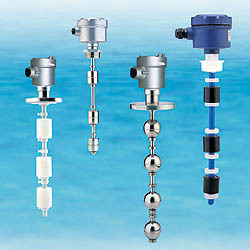 Level switches are key components in a variety of locations within these plants, including the level switch float type used in water totes, which can be used for many purposes. One method of improving the efficiency of the asphalt production process and the asphalt made is to combine an amount of water with the liquid asphalt prior to mixing with other ingredients. The water is contained in what is commonly referred to as a “tote”. The water in the tote is pumped and metered to a blending device that fuses the water with liquid asphalt to create a temporary foaming effect to allow for better aggregate and asphalt mixing. A level switch float type is used in the tote. 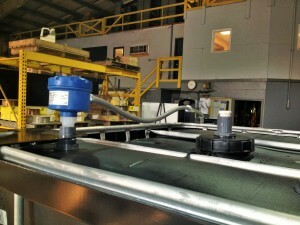 Our FC series magnetic level switch float type is shown in a water tote. Typically, the totes are connected to the city water supply and there is a mechanical device that keeps the tote above ¾ full all the time. However, there could be problems and have been in some cases resulting in running out of water, so this is where the FC level switch float type comes in. It operates as a low level sensor to sound an alarm if the water level in the tote is too low. The FC level switch float type unit fits this application perfectly; it is top mount, reliable and cost effective. For more information regarding the FC series level switch float type, go to our FC/FD Series Magnetic Float Level Switch product page or contact us at 815-632-3132.